SOMERVILLE, MA — Anime After Dark, a 12 hour film festival of new and vintage anime, is kicking off in Boston. Resonance Features and SF34: The Boston Science Fiction Film Festival present Anime After Dark, a twelve hour film festival event at Boston’s historic Somerville Theatre, 55 Davis Sq., Somerville on October 18th, 2008. It will start at dusk, 7:00 PM, and run continuously until dawn, 7:00 AM. The festival will bring some of the best in new and vintage anime to the big screen, in many cases for the first time. Ticket holders will be treated to an array of cinema treasures by masters of the genre like Studio Ghibli, Satoshi Kon, Leiji Matsumoto, Kenji Kamiyama, and others in a program that will run from dusk until dawn and include rare 35mm prints. Special events and more surprises to be announced. New features include the recently released “Tekkon Kinkreet” winner of the 2008 Japan Academy Prize for Animation of the Year. Other notable films in the lineup include Millennium Actress, Ghost in the Shell: Solid State Society, and Project A-Ko. 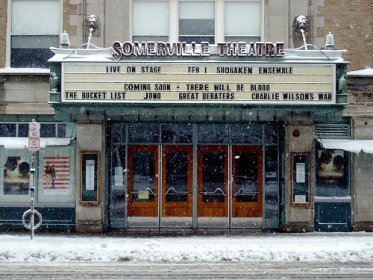 The Somerville Theatre is located at 55 Davis Sq in Somerville right next to the Davis Sq Red Line T station. The festival will unspool in the classic 900 seat auditorium. Built in 1914, the theatre has become a landmark location for film festivals and concerts. For a full schedule of films and special events visit the official website www.animeafterdark.net http://rs6.net/tn.jsp?e=001zMI-FFT_Q0y5Uba8q772DfMHEV3BWDYuMT2pZssNexfcrdc39zrR8PRktEVFSCblNnF_EwQgP5jQPzId1-Oz1S0I9EZP7J7pbIvWJVDie2ZQA_odq4lrGw==. Tickets go on sale Wednesday, September, 10th 2008 for the introductory price of $20.00. Prices will rise to $25 on September 20th and $30 if purchased at the door. Order now because space is limited. Resonance Features is a licensing and distribution company based in New York City with theatrical, home video and pay-per-view agreements in several major markets. Headed by Dekker Dreyer (www.dekkerdreyer.com http://rs6.net/tn.jsp?e=001zMI-FFT_Q0yLS6aV-3yVIPxRjx7p51znd1xxXASIgfuF9Xbqb5Iu29Dr9QRcoUkEFL9RQ3T_SifDzuvogbU18GWlBWR5jBHagmhQ7LB20B9_a_MQ4HReng==), Resonance Features strives to bring critically acclaimed entertainment together with the best in new releases. The Boston Science Fiction Film Festival is the oldest event of it kind in the country. Every President’s Holiday for 34 year science fiction films screen, science fiction films screen fror 24 straight hours. Special promotional consideration provided by Rasmussen College. I’ve got a ticket….and I plan on going.